All the “pigeonholing” and talk about genres in our day and age has led to confusion in one or another of the camps: is it jazz, is it classical, or what actually is it? Whether you need to define it as jazz or classical will depend on what the music communicates to you. With this clearly in mind, we —the classical singer and the jazz pianist — have ventured together into Terra Nova’s tonal world in an attempt to create our own “universe”. Jan Gunnar Hoff is a jazz pianist, but he composes in a style that overlaps with what can be defined as classical, with its fine melodies and melodious improvisations, and with its singable compositions. Tor de Jazz: “Two strong, expressive and clear voices that obviously have met each other across genres and engage in wonderful, original and exciting excursions”. 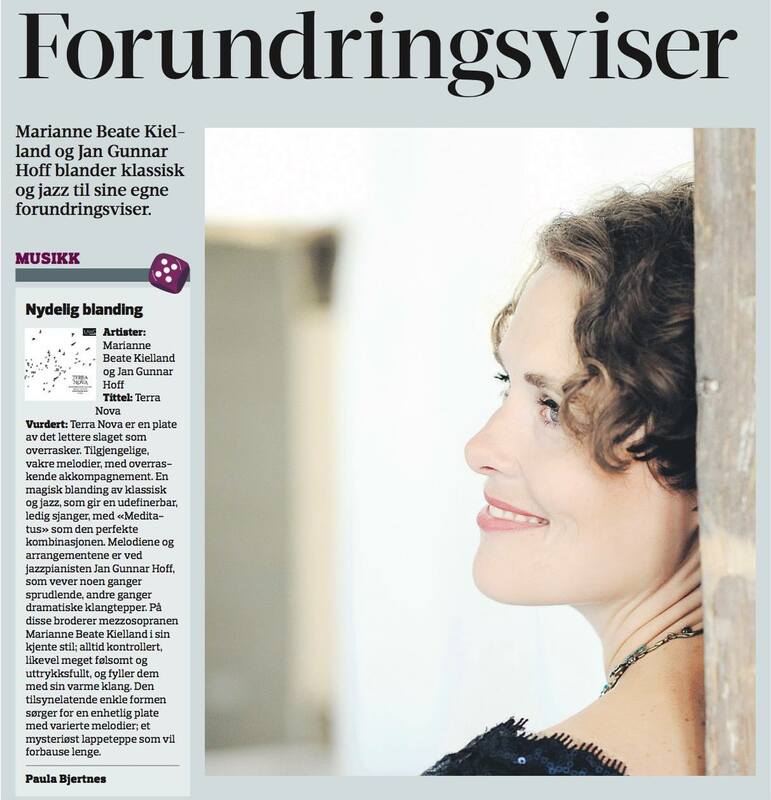 Hamar Arbeiderblad: “A magical mix of classical and jazz”. 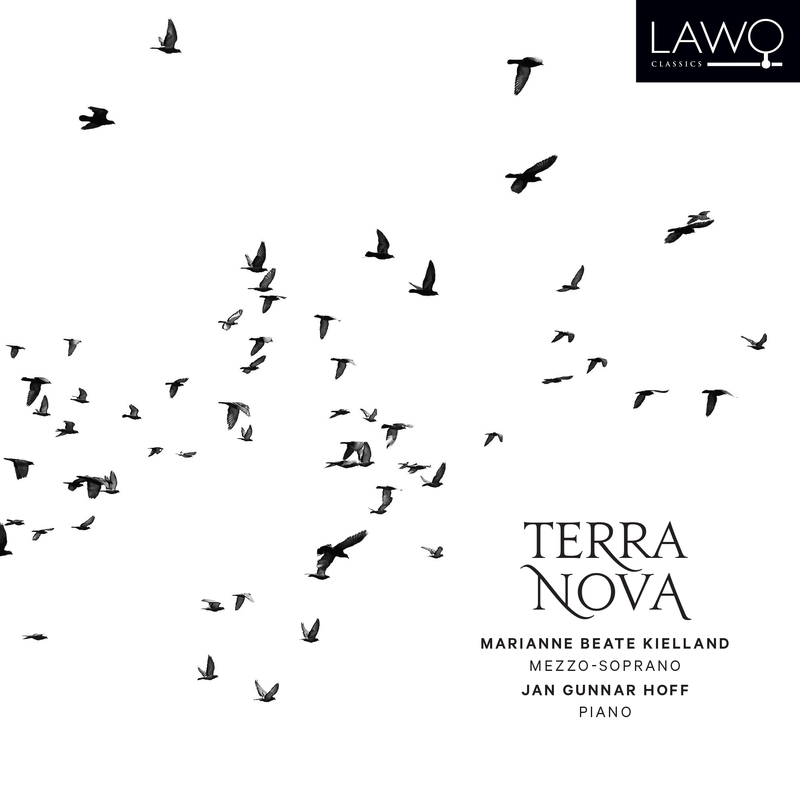 Avisa Nordland: “Strong melodies that can withstand repeated listening”.